Top image: Ellen Weaver in front of her ocean monitoring sensor package. Ellen Weaver, an associate professor of biology from California State University is shown developing instrumentation to be used in satellites for ocean monitoring. In the early 1970s, NASA researchers and ocean explorer Jacques Cousteau formed a team to study productivity of the sea. The team devised a sensor system to monitor ocean temperatures and chlorophyll levels by aircraft. This sensor was used in the satellite communication and weather equipment provided by NASA to assist in the accuracy of satellite observation. 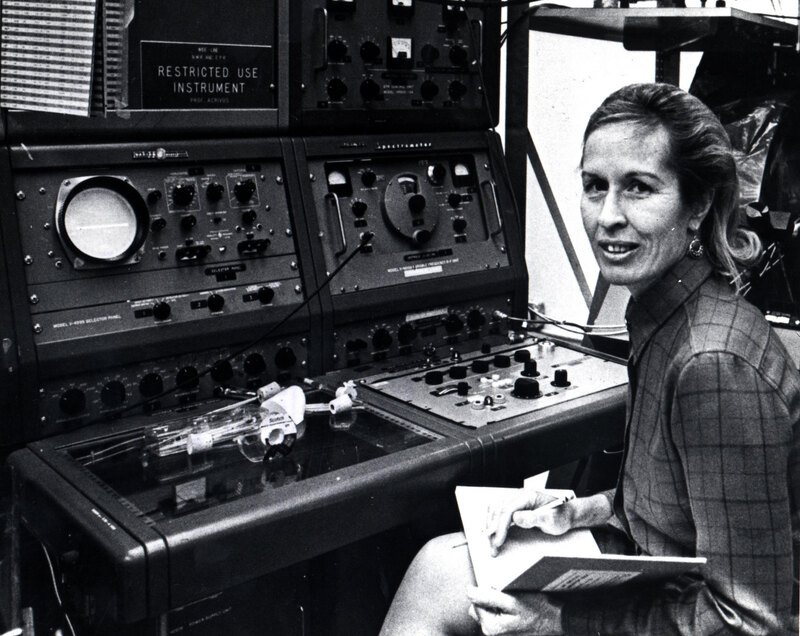 February 8, 1973: Biologist Ellen Weaver creates a sensor package to measure ocean temperature and detect chlorophyll levels. The sensors were loaded onto communications and weather satellites in NASA’s first foray into sea productivity monitoring. In the early 1970s, NASA put together a team of researchers including legendary explorer Jacques Cousteau, and associate professor at California State University Ellen Weaver. Their task was deceptively simple: figure out how to use satellites for monitoring ocean productivity. The team invented a sensor package to ride on airplanes, monitoring ocean temperatures and chlorophyll levels. Once proven in little patchworks of regional measurements, that same sensor package was loaded onto communication and weather satellites, bringing ocean observation to space. March 20, 1973: Star-News article on the NASA-Cousteau collaboration. The loudest criticism leveled against the nation’s space program in the last decade is that too much money is spent on projects that have too little value to earthlings. The same article goes on to describe the mission. While Cousteau roamed the seas providing local updates from his research vessel Calypso, Weaver paired up with NASA Ames’ John Arvesen to analyse the data coming down from the first Earth Resources Technology Satellite (ERTS-1), Nimbus, and NOAA weather satellites. They used the ground-truthed data to calibrate their instruments, learning how changes in sea colour could reflect phytoplankton levels and other tricks for remote sensing the ocean’s health. 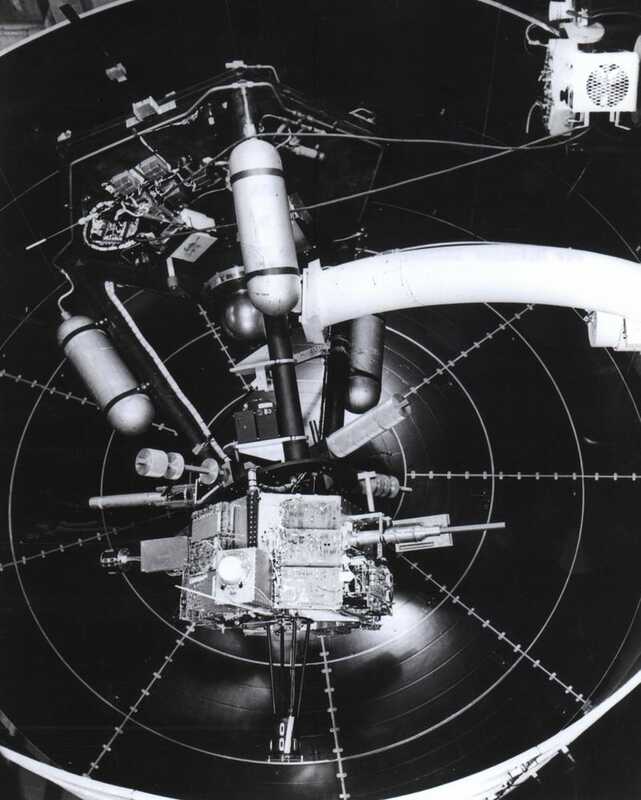 1972: Prototype subsystem testing for the Nimbus-5 meteorological satellite. The satellite launched on December 10, 1972 and operated until March 29, 1983. This film illustrates how the Earth Resources Technology Satellite (ERTS) helped to meet the need for a worldwide survey of Earth resources in order to assist scientists and governments plan their use and conservation. NASA’s Earth observing satellites have come a long way in the intervening decades. Now they track everything from carbon distribution to algae blooms, helping us learn about the complex dynamics of our ever-changing world.